BAUGHERS BAY, Tortola, VI - Outspoken social commentator and ZBVI 780 radio host, Mr Claude O. Skelton-Cline is lashing out at the Hon Myron V. Walwyn (AL) led National Democratic Party (NDP 1) for its inaction in making sure a bank is available to the people of Virgin Gorda. 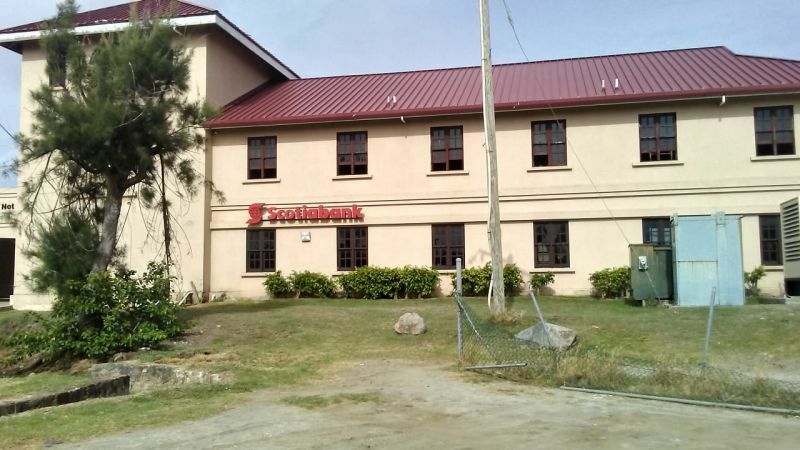 In early August 2018, Virgin Islands News Online (VINO) had reported that the Scotiabank branch on Virgin Gorda (VG) was closing its door by the end of that month. The bank officially closed on September 1, 2018, with Premier Dr D. Orlando Smith (AL)—in explaining the reason for the closure—saying that a revision of the bank’s mode of operation had been introduced regionally with greater emphasis on digital banking. They advised the Government that it would result in enhanced customer interaction for BVI customers, however, that left the people of Virgin Gorda with absolutely no local banking services. That also meant that no banking services were available on the other Sister Islands either. National Bank had indicated an interest to establish a presence and FirstBank was, for a short while, on Anegada but they have since closed their doors. “The people in Virgin Gorda still [have] no bank after all of whatever the promises, after knowing over a year in advance of what Scotia was going to do,” Mr Skelton-Cline said on the Tuesday, January 29, 2019, edition of his ‘Honestly Speaking’ radio show. He continued, “And yet you [NDP 1] are coming to ask us, ask the people to give you another chance after almost eight years with this kind of fiasco,” he said while pointing out a host of irregularities under the watch of the Premier Smith led NDP government. According to Mr Skelton-Cline, completely removing the NDP from office is his ultimate goal and he won’t stop until that is achieved. Again Mr Skelton. Weren’t you and a member of the same NDP within the past eight years ? Probably you foresee what was going to happen and ducked out before you become a victim of the same party you can wait to be remove from office Hope that who ever leads the beautiful VI after the elections put their people and country at heart for a speed recovery . God bless the BVI and it’s people, specially those who are awaiting help. was There ever a settlement in that court matter!!! My recollection is that he left because of the only fiscally responsible decision the NDP made - that was to not renew his contract after the pier park massive overspend. I would vote for the VIP all the way but am worried that they allow Claude O (for “Overspend”) Skelton Clyne to speak for the VIP. Tell us why Delight and Tooch still at Ports collecting money now after the overspending at Pier Park. Another half million dollar spent on nothing. You and your bully CR force out the hodge lady after she helped Ports save millions of dollars. What kind of comment is that to be a headline. This man just come here after having to runaway from the US and talking piss. VG had banks over the last 8 years. Only Scotia survived after IRMA and now closed. These banks have major security isses operating among others in our sister islands. Stop talking nonsense. FCIB need to find somewhere n start back operating. If NBVI wants to go over thats great but ome with a ATM. What will Skelton do to return a bank to VG??? It's obvious Claude have an axe to grind with Myron and the NDP. But all this stuff he's going on with is too much man. He behaving worst than the candidates and ruining all his relationships. Politics is not for mr.o'neal he is like the stepchild for the ndp.